Saint Petersburg is one of the most beautiful cities in the world. It is often referred to as the Venice of the North or the Paris of the East, but its beauty is really a brand on its own. From the White Nights festival during the mysterious summer twilight to top theater and ballet productions and concerts on magical winter evenings, the city offers a vibrant cultural life that is second to none. 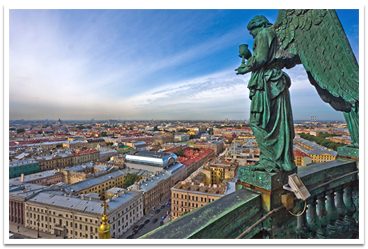 At ULKOtours PREMIUM we are committed to providing the best services for you so that you could see and feel the beauty of Saint Petersburg at it's full.